Sign the petition. Note that there are two lines for each signer, one for your signature and one for your printed name. Please include your address so that your county residency is clear, but only as much personal contact information as you are comfortable with. 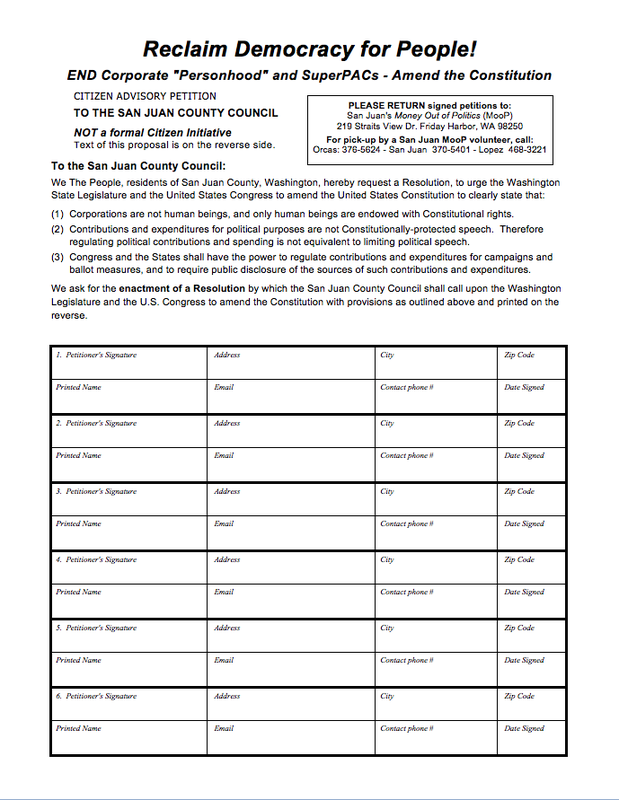 If you know any others who would like to wrest control of our elected officials from moneyed interests and return it to individual voters, ask them to sign, as well. Shaw Island: The public kiosk across from the General Store at the ferry landing. You can also mail it to the address on the petition, itself. What? Don’t have access to a printer? Send an email to jpmillertx@yahoo.com, ask for a hardcopy and I’ll mail you one. Please include your mailing address.